The Chapel of Christ the Healer, located on the busy main walkway of Cork University Hospital is an oasis of calm for all who drop in for reflection and prayer. Every Sunday the Eucharist is broadcast live on hospital radio to the hospital community and surrounding area in Cork City. A small congregation provides much appreciated worship for those unable to attend their local church. 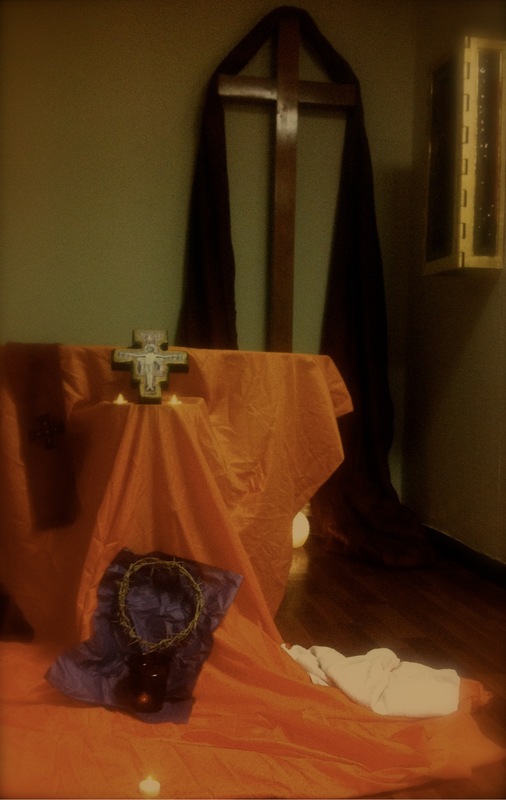 This was brought to a new level on Good Friday when the chaplaincy team extended the reach of the reflective ecumenical Taizé-stlye ‘Service of Prayer around the Cross’ through social media. A dedicated mobile phone number and twitter account and hashtag were created @goodfridaycuh #goodfridaycuh to receive prayers. During the service the tweets and text received were included in the prayers and were shared on twitter and written on the prayer board beside the cross in the chapel. In addition the service was streamed online. This new venture touched the lives of many beyond the walls of the hospital and enabled us on Good Friday to offer a tender ministry of love and care to many who carry the cross of illness and pain. Receiving texts and tweets in realtime from worshippers locally, from Europe and from as far away as North America was a powerful expression of the shared journey of illness and faith. It was wonderful to think that we were all united in prayer at the same time for family and friends … yet still spread across the globe. This entry was posted in Chaplaincies, Church in Society, Church Services, Diocese, Holy Week. Bookmark the permalink.